Microsoft has just moved its chess piece (or “cheese trap”) by supposedly opening up .NET. .NET is bound to become shared source. The OSI debate is not very relevant here (shared source isn’t acceptable as “Open Source”, yet), but the ‘SCO factor’ now comes into play. In an excellent new article, Steven Vaughan-Nichols explains why the cat is out of the bag. Mono is sponsored by Novell. It’s led by noted open-source developer Miguel de Icaza. The Mono code is covered by three different real open-source licenses. The C# Compiler and tools are released under the terms of the GPLv2 (GNU General Public License); the runtime libraries are under the LGPL 2.0 (GNU Library GPL 2); and the class libraries are released under the terms of the MIT 11 license. If you ever, and I mean ever, want to write open-source code, I recommend you not come within a mile of Microsoft’s .NET Framework code or any other similar projects that the boys from Redmond “open” up. If you do, you’re nibbling on the cheese of a trap that will eventually snap shut on you and kill up your program and quite possibly your job and finances. While Novell is betting on Mono, it would be dangerous to bet on Novell. Update: Miguel de Icaza praises Microsoft about the move but cannot hide his disappointment with the choice of licence. It is subtle, yet transparent. 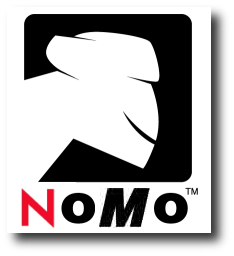 Does this disruptive development finally show everyone why Novell’s love affair with Mono isn’t such a great idea? Does it teach us just why Novell, which fosters this project and makes its desktop more Mono-oriented, doing it for selfish interests? Only Novell is ‘protected’ for the use of Mono (this protection will last for another 4 years and then expire). Even Xandros and Linspire are not ‘protected’ (Mon is excluded explicitly in their deal with Microsoft). Microsoft is fooling everyone and works with Novell on poisoning the well we all drink from. Espicially those under the same Microsoft Reference License. Yariv, there are no languages that I’m aware which would fulfill this criterion, but Mono is already pretty much there. Possibility is replaced by ‘legality’. With the Yahoo bid lurking, it might be time to worry about those services through which Microsoft can spread Silverlight, which requires Linux users to embrace Moonlight (Mono) and also SUSE, for so-called ‘protection’.